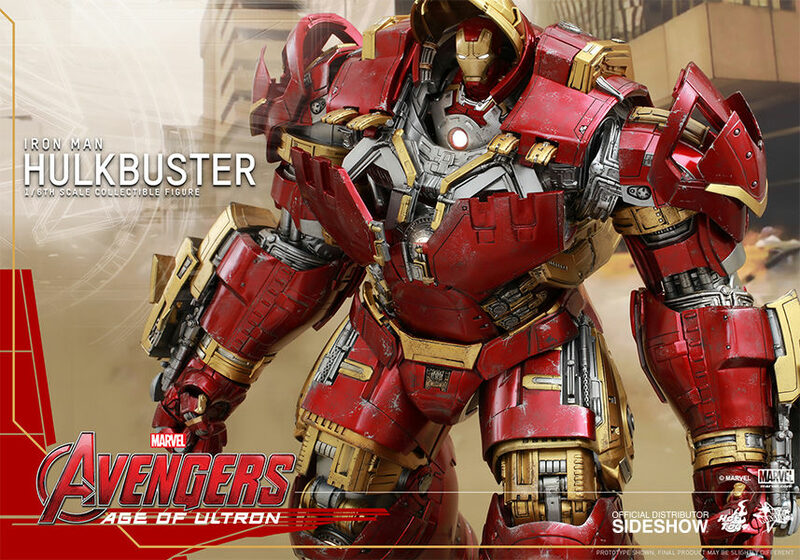 This is the Iron Man armor you have been waiting for! 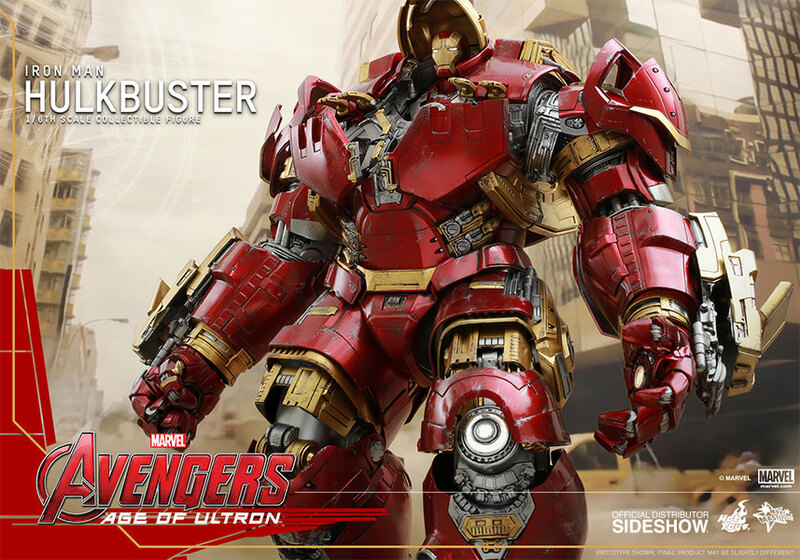 Since the first official appearance of the massive anti-Hulk Iron Man suit, Hulkbuster, in Marvel's Avengers: Age of Ultron trailer, fans worldwide have been filled with excitement! 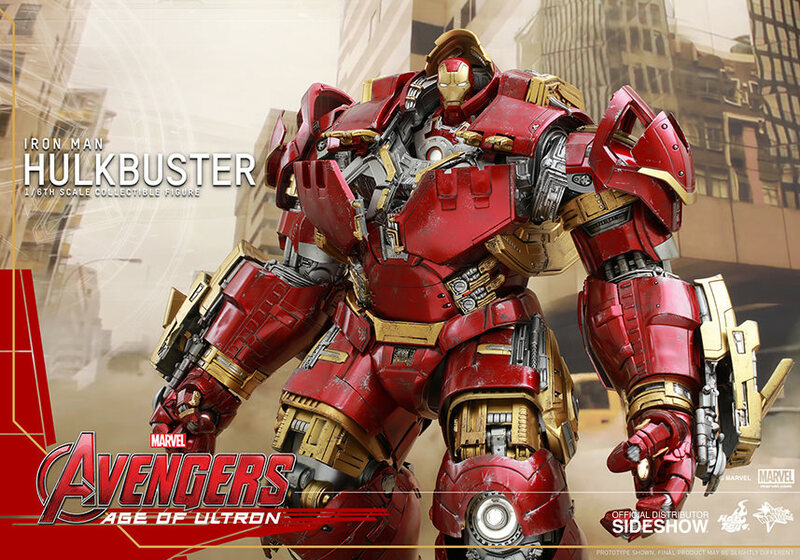 Today Sideshow Collectibles and Hot Toys are proud to officially introduce the spectacular Hulkbuster Sixth Scale Collectible Figure! 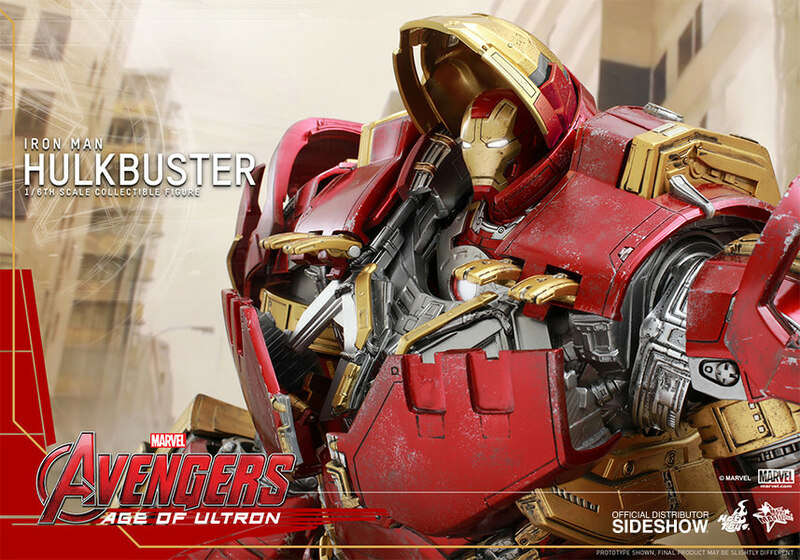 Hulkbuster offers a new feature to put Hot Toys' sixth scale Mark XLIII collectible figure (not included) inside the Hulkbuster after removing the included Mark XLIII upper body. There are updated metal joints implemented in various parts of the inner frame, an all-new retracting helmet design so there is no need to swap out the parts and the armor can be displayed in different stages of suiting up. An updated gauntlet design allows you to further recreate scenes from the film with a more movie-accurate and highly detailed mechanical design of the powerful machine arm! Pay as little as $412.50/mo. 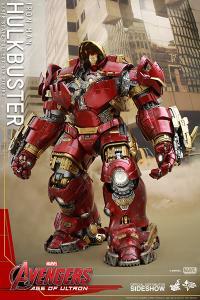 Been waiting for the Hulkbuster for 3 years remind finally came I couldn't believe it it's so big a behemoth I haven't found a place to display it yet or case been enough the good thing is I have the original Mark 43 to display with only drawback Hulkbuster batteries are hard to put in hoorah!!!!! It is an incredible figure. I can only imagine what it must have taken to design and execute this figure. It is truly one of the most impressive collectibles I have ever seen. Absolutely thrilled to look at it every day. Thank you Sideshow ! When i received my hulkbuster 1/6th scale i was just simply floored.... The size, the attention to detail, extremely customizable poses. it is THE grail 1/6th scale figure TO OWN! Is it real? I asked myself when I saw my HB in its full glory still packed tightly in the Styrofoam case. I have been collecting HT IM figures since 2014 and I can say this is my 'DAYUM!' figure for sure. The amount of detail on this is truly incredible. A household Showstopper!! The complexity of this piece is unbelievable. Almost every part of it can move giving you unlimited posing options. Extremely heavy. Very detailed. Only downside is the light up options (about 8 places) are all covered up so you essentially have to disassemble 8 pieces to turn it on. Fantastic and Absolutely stunning ! I've been waiting for Hulkbuster years ago and when he came into my collection i was thrilled by the details and the size of it ! Even towering my IGOR truly a massive piece and a masterpiece ! Again, truly marvelous Job from Hot Toys !